The Actions in Nordland ended in German victory. The French destroyer Foudroyant was one of 14 L'Adroit-class destroyers built for the French Navy during the 1920s. The masked crimefighting character The Spirit first appeared in the American Sunday comics. The Canadian National Vimy Memorial is a war memorial site in France dedicated to the memory of Canadian Expeditionary Force members killed during the First World War. It also serves as the place of commemoration for Canadian soldiers of the First World War killed or presumed dead in France who have no known grave. The monument is the centrepiece of a 100-hectare (250-acre) preserved battlefield park that encompasses a portion of the ground over which the Canadian Corps made their assault during the initial Battle of Vimy Ridge offensive of the Battle of Arras. Robert Anthony Eden, 1st Earl of Avon, was a British Conservative politician who served three periods as Foreign Secretary and then a relatively brief term as prime minister of the United Kingdom from 1955 to 1957. 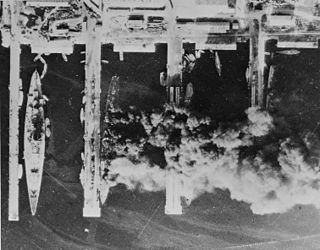 The Germans launched Operation Paula, an attempt to destroy the French Air Force. However, British intelligence had warned the French of the impending attack and the operation failed to achieve its strategic goals. The U.S. Supreme Court decided Minersville School District v. Gobitis . Unternehmen Paula is the German codename given for the Second World War Luftwaffe offensive operation to destroy the remaining units of the Armée de l'Air (ALA), or French Air Force during the Battle of France in 1940. On 10 May the German armed forces (Wehrmacht) began their invasion of Western Europe. By 3 June, the British Army had withdrawn from Dunkirk and the continent in Operation Dynamo, the Netherlands and Belgium had surrendered and most of the formations of the French Army were disbanded or destroyed. To complete the defeat of France, the Germans undertook a second phase operation, Fall Rot, to conquer the remaining regions. In order to do this, air supremacy was required. The Luftwaffe was ordered to destroy the French Air Forces, while still providing support to the German Army. In the British House of Commons Winston Churchill made the famous speech commonly titled We shall fight on the beaches . The Battle of Abbeville ended in German victory. 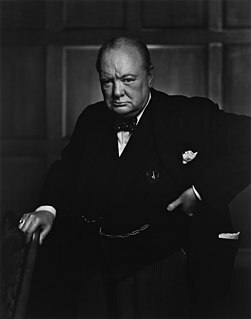 "We Shall Fight on the Beaches" is a common title given to a speech delivered by Winston Churchill to the House of Commons of the Parliament of the United Kingdom on 4 June 1940. This was the second of three major speeches given around the period of the Battle of France; the others are the "Blood, toil, tears, and sweat" speech of 13 May and the "This was their finest hour" speech of 18 June. Events developed dramatically over the five-week period, and although broadly similar in themes, each speech addressed a different military and diplomatic context. During World War II, Fall Rot was the plan for the second phase of the conquest of France by the German Army and began on 5 June 1940. It had been made possible by the success of Fall Gelb, the invasion of the Benelux countries and northern France in the Battle of France and the encirclement of the Allied armies in the north on the Channel coast. Powerful forces were also to advance into France. The Somme is a river in Picardy, northern France. The name Somme comes from a Celtic word meaning "tranquility". The department Somme was named after this river. The Aisne is a river in northeastern France. It is a left tributary of the Oise. It gave its name to the French department of Aisne. It was known in the Roman period as Axona. Oisemont is a commune in the Somme department in Hauts-de-France in northern France. The Ailette is a 59.5 km (37.0 mi) long river in the Aisne département, eastern France. Its source is at Sainte-Croix. It flows generally west-northwest. It is a left tributary of the Oise into which it flows between Manicamp and Quierzy, 30 km (19 mi) northeast of Compiègne. The character of Daisy Duck first appeared in the Disney cartoon Mr. Duck Steps Out . The comedy-horror film The Ghost Breakers starring Bob Hope and Paulette Goddard had its world premiere in Detroit. 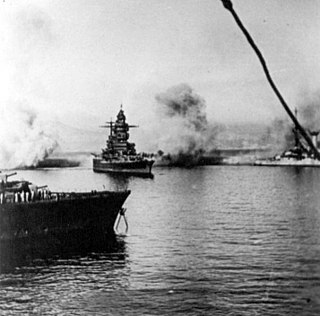 The Germans executed the naval offensive in Norway codenamed Operation Juno. Operation Alphabet ended with the completion of the Allied evacuation from Norway. Lawson Little won the U.S. Open. The Italian invasion of France began. Fighting would be mostly limited to skirmishing for the first ten days since both sides along the Franco-Italian border were deployed in defensive positions at the beginning of hostilities. Operation Cycle, the evacuation of Allied troops from Le Havre, began. The Siege of Malta began. German submarine U-124 was commissioned. The Anglo-Thai Non-Aggression Pact was concluded in Bangkok. The first inmates of Auschwitz and Theresienstadt concentration camp arrived. The Soviet ultimatum to Lithuania was delivered. The Occupation of the Baltic states began. The Finnish-owned civilian Junkers Ju 52 passenger and transport plane Kaleva was shot down by two Soviet bombers while en route from Tallinn to Helsinki, killing all 9 on board. Finland did not protest the incident to the Soviets due to fear of a hostile response. The drama film The Mortal Storm starring Margaret Sullivan and James Stewart was released. The Allied evacuation of military personnel and civilians from France codenamed Operation Ariel began. German submarine U-137 was commissioned. At 12:30 p.m. Pétain took to the radio to deliver his first message to the nation: "It is with a heavy heart that I say to you that fighting must cease." However, fighting went on in some sectors. Churchill delivered the speech in the House of Commons commonly titled This was their finest hour . The Battle of Saumur began. The Battle of Zaoyang–Yichang ended in Chinese victory. The Battle of Saumur ended in German victory. Alexander Cambridge, 1st Earl of Athlone became the 16th Governor General of Canada. Canada passed the National Resources Mobilization Act. The National Resources Mobilization Act was assented to in Canada. The Armistice of 22 June 1940 was signed at 6:36 p.m. A German occupation zone was established in the north and west of France with the remainder left "free" to be governed by the French. The Franco-Italian Armistice was signed at 7:15 p.m. A very small zone of Italian occupation was established consisting of 832 km2 that included the port town of Menton. The British began Operation Collar, the first British commando raid of the war, on the northern French department of Pas-de-Calais. The Franco-Italian Armistice came into effect at 12:35 a.m.
Operation Ariel ended, although it would go on unofficially until August 14. Operation Collar ended in minor British success. German submarine U-138 was commissioned. The Soviet occupation of Bessarabia and Northern Bukovina began. President Roosevelt signed the Smith Act into law. The Smith Act was enacted in the United States, setting criminal penalties for advocating the overthrow of the U.S. government and requiring all non-citizen adult residents to be registered. The Germans occupied the Channel Islands unopposed. CD Español defeated Madrid CF 3-2 in the Copa del Generalísimo Final. The comic strip Brenda Starr, Reporter first appeared. The Timeline of the Battle of France or the Fall of France covers the period during [World War 2] from the first military actions between Germany and France and to the armistice signed by France. 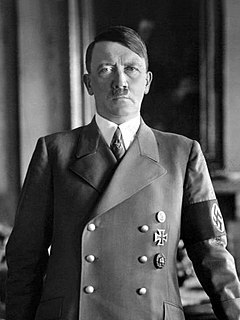 In about six weeks from May 10, 1940 through June 25, 1940 Nazi Germany had also conquered Belgium, Netherlands and Luxembourg, adding these four countries to its third Reich. Nazi Germany planned to use forces that would distract the Allies that would enter Belgium which would make French and British troops leave their current position. Germany would also use a second force to navigate the Ardennes Forest and move around the Maginot Line. Germany had a very simple and strategic plan take the Netherlands and Luxembourg before invading France and Belgium. The plan focused on eliminating any resistance that remained, capturing Paris, crossing the English Channel and then invading Great Britain. 1 2 3 4 5 6 7 8 9 10 11 12 13 14 15 16 Chen, C. Peter. "Invasion of France and the Low Countries". World War II Database. Retrieved December 11, 2015. ↑ Foot, Richard (June 14, 2014). "Awe-inspiring Vimy memorial a reminder of soldiers' sacrifices". The Great War 1914–1918. Retrieved December 11, 2015. ↑ "Even Hitler saw beauty in Vimy memorial". canada.com. Postmedia News. April 3, 2007. Archived from the original on December 22, 2015. Retrieved December 11, 2015. ↑ "The Battle of the Ports". ibiblio . Retrieved December 11, 2015. ↑ Cerutti, Joseph (June 3, 1940). "Four-Fifths of British Saved, Eden Asserts". Chicago Daily Tribune . Chicago: Chicago Daily Tribune. p. 1. 1 2 3 4 5 6 Davidson, Edward; Manning, Dale (1999). Chronology of World War Two. London: Cassell & Co. pp. 37–39. ISBN 0-304-35309-4. 1 2 3 4 Mercer, Derrik, ed. (1989). Chronicle of the 20th Century. London: Chronicle Communications Ltd. p. 532. ISBN 978-0-582-03919-3. 1 2 Chen, Peter C. "Invasion of Denmark and Norway". World War II Database. Retrieved December 11, 2015. ↑ "Indict Schenck as Tax Dodger". Brooklyn Eagle . Brooklyn. June 3, 1940. p. 1. ↑ "Famous First Night Games". Baseball Almanac . Retrieved December 11, 2015. ↑ Murray, Williamson; Millett, Allan (2000). A War To Be Won: fighting the Second World War. Belknap Press of Harvard University Press. pp. 81–82. ISBN 978-0-674-04130-1. 1 2 3 4 5 6 7 8 9 Chronology and Index of the Second World War, 1938–1945. Research Publications. 1990. pp. 23–24. ISBN 978-0-88736-568-3. ↑ Wilson, James (2007). Propaganda Postcards of the Luftwaffe. Barnsley: Pen & Sword Books. p. 188. ISBN 978-1-84415-491-3. ↑ "Today in Canadian History". Canada Channel. Retrieved December 11, 2015. ↑ Mitcham, Samuel W., Jr. (2008). The Rise of the Wehrmacht: Vol. 1. Praeger Security International. p. 337. ISBN 978-0-275-99641-3. ↑ International Law Reports. Cambridge: Grotius Publications. 1958. p. 947. ↑ Garbarini, Alexandra (2011). Jewish Responses to Persecution: Volume II, 1938–1940. Lanham, Maryland: AltaMira Press. p. 555. ISBN 978-0-7591-2039-6. 1 2 Mitcham, p. 338. ↑ "The French Bomb Berlin: June 7-8, 1940" . Retrieved December 11, 2015. 1 2 3 4 5 6 7 "Chronology 1940". indiana.edu. 2002. Retrieved December 11, 2015. 1 2 3 4 5 Corvaja, Santi (2008). Hitler & Mussolini: The Secret Meetings. New York: Enigma Books. pp. 114–119. ISBN 978-1-929631-42-1. ↑ Rue, Larry (June 11, 1940). "Angry Britons Smash Italian Shops, Cities". Chicago Daily Tribune . Chicago: Chicago Daily Tribune. p. 1. ↑ Butler, Daniel Allen (2015). Field Marshal: The Life and Death of Erwin Rommel. Havertown, PA: Casemate Publishers. p. 563. ISBN 978-1-61200-297-2. ↑ Dunn, Susan (2013). 1940: FDR, Willkie, Lindbergh, Hitler - the Election Amid the Storm. Yale University Press. pp. 44–45. ISBN 978-0-300-19086-1. ↑ Gates, Eleanor M. (1981). End of the Affair: The Collapse of the Anglo-French Alliance, 1939–40. Berkeley and Los Angeles: University of California Press. pp. 172–175. ISBN 978-0-520-04292-6. ↑ Castillo, Jasen (2014). Endurance and War: The National Sources of Military Cohesion. Stanford University Press. p. 122. ISBN 978-0-8047-8910-3. ↑ Evans, A. A.; Gibbons, David (2012). The Illustrated Timeline of World War II. Rosen Publishing. p. 35. ISBN 978-1-4488-4795-2. ↑ "51st Division Surrender at St Valery-en-Caux". World War II Today. Retrieved December 11, 2015. ↑ Rosbottom, Ronald C. (2014). When Paris Went Dark: The City of Light Under German Occupation, 1940–1944. Little, Brown and Company. ISBN 978-0-316-21745-3. ↑ "This Day in History: Germans enter Paris". History . A&E Networks . Retrieved December 11, 2015. ↑ "1940: German troops enter Paris". On This Day. BBC . Retrieved December 11, 2015. ↑ Jordan, John; Moulin, Jean (2013). French Cruisers: 1922–1956. Barnsley: Seaforth Publishing. pp. 183–184. ISBN 978-1-84832-133-5. ↑ Wechsler, Bob (2008). Day by Day in Jewish Sports History. KTAV Publishing House. p. 167. ISBN 978-1-60280-013-7. ↑ Bracher, Nathan (2010). After the Fall: War and Occupation in Irène Némirovsky's Suite Française. Catholic University of America Press. p. 86. ISBN 978-0-8132-1789-5. ↑ Ernakoff, Ivan (2008). Ruling Oneself Out: A Theory of Collective Abdications. Duke University Press. p. 29. ISBN 978-0-8223-8872-2. ↑ "Rennes, Brittany, France, Monday 17th June 1940. Luftwaffe attack on trains". BBC . Retrieved December 11, 2015. 1 2 3 Mitcham, p. 344. 1 2 3 "The flame of French resistance". The Guardian . April 29, 2007. Retrieved December 11, 2015. 1 2 Mitcham, p. 345. ↑ "1940". World War II Database. Retrieved December 11, 2015. ↑ Black, Conrad (2003). Franklin Delano Roosevelt: Champion of Freedom. PublicAffairs. p. 560. ISBN 978-1-61039-213-6. 1 2 Moseley, Ray (1999). Mussolini's Shadow: The Double Life of Count Galeazzo Ciano. Yale University Press. p. 107. ISBN 978-0-300-07917-3. ↑ "Paris - Historical Film Footage". United States Holocaust Memorial Museum . Retrieved December 11, 2015. ↑ Burgwyn, H. James (2012). Mussolini Warlord: Failed Dreams of Empire, 1940–1943. New York: Enigma Books. p. 19. ISBN 978-1-936274-29-1. ↑ "425 For Dewey Seen in 1st; Western Bloc Hits Willkie". Brooklyn Eagle . Brooklyn. June 24, 1940. p. 1. ↑ Matanle, Ivor (1995). World War II. Colour Library Books Ltd. p. 50. ISBN 1-85833-333-4. ↑ "M'Nary Slated for 2d Place; Delegates Wait Willkie Talk". Brooklyn Eagle . Brooklyn. June 28, 1940. p. 1. ↑ Kinsley, Phillip (June 29, 1940). "Fight For National Unity! G. O. P. Told by Willkie". Chicago Daily Tribune . Chicago: Chicago Daily Tribune. p. 1. ↑ "Willkie Addresses Convention: Promises 'Fighting Campaign'". Lawrence Daily Journal. Lawrence, Kansas: 1. June 28, 1940. ↑ "German WWII bombing on Jersey commemorated". BBC . June 28, 2010. Retrieved December 11, 2015. ↑ Hamm, Jeffrey (2012). Action Replay. Black House Publishing. pp. 71–72. ISBN 978-1-908476-93-7. ↑ "Naval Events, June 1940 (Part 4 of 4)". naval-history.net. Retrieved December 11, 2015.